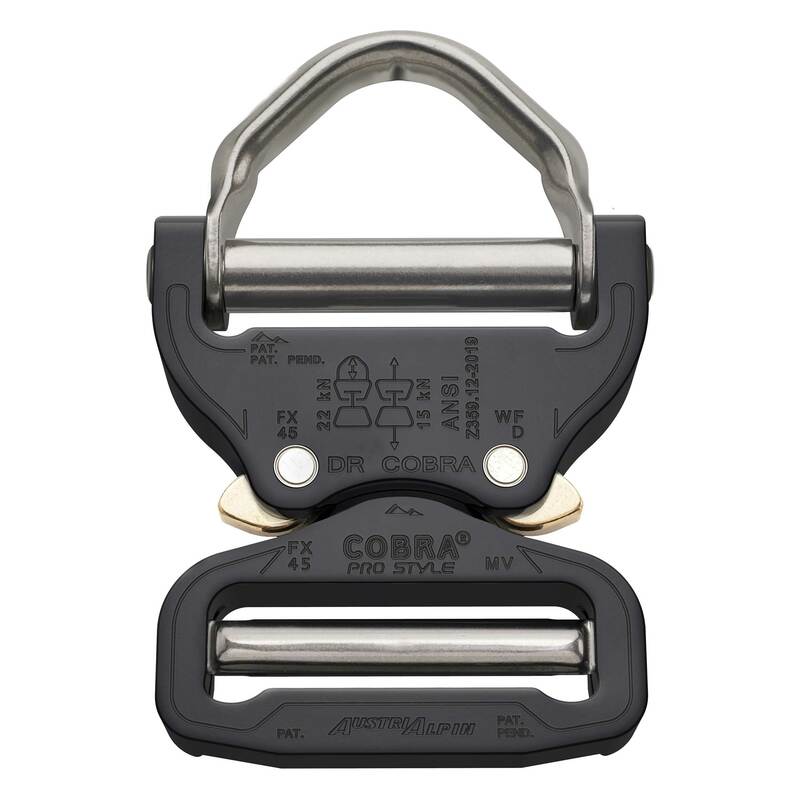 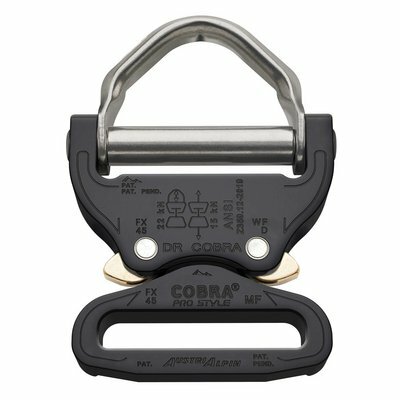 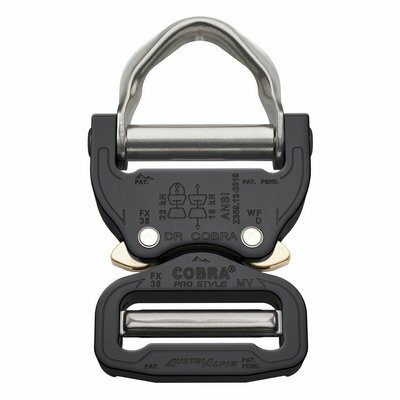 The synergistic hybrid of two standard components of safety industry hardware: the stainless steel D-Ring and the COBRA® buckle. The unique construction prevents the D-Ring from getting squeezed against the webbing and therefore guarantees easy handling. 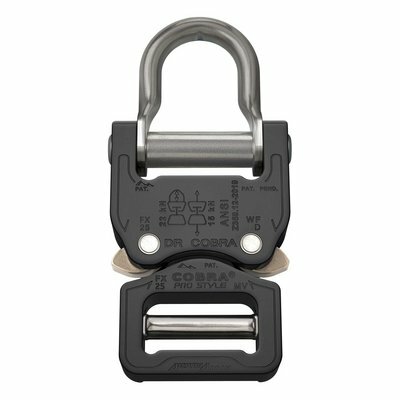 It meets and exceeds all ANSI Z359.12 2009 standards for fall protection both for the buckle (18 kN) and the D-Ring (22 kN) as well as CSA and upon request NFPA standards.